Being a long time fan of Sally Hansen products for both their quality and affordability, I couldn't wait to try their new offerings that came with the holiday season. 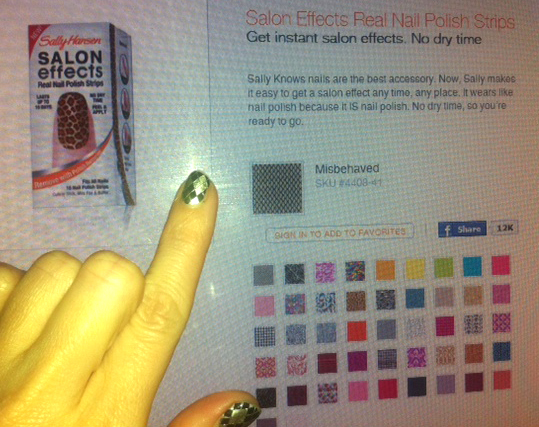 Unfortunately time got away from me and the festivities of December almost past me up before my manicure caught up. Just in time for New Year's Eve, however, I gave my nails a makeover with the Salon Effects. My pick was the classic argyle print. 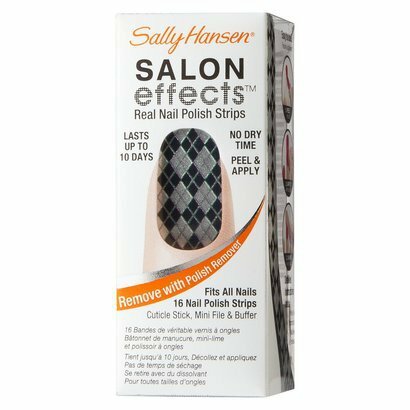 For those who haven't tried this product the strips are so easy to apply and they last much longer than regular nail polish. My day to day job requires me to wear gloves and this is the only polish I have found that will not peel and chip at work. 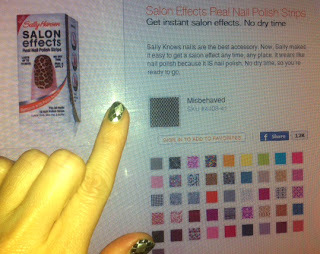 The line of Salon Effects feature many colors, prints, glittery styles and holiday designs. A tip for those with short nails...You can cut the individual strips in half to get twice the use out of each box. I love these so much too! I did a review on them last year AND>>>> guess what I figured out? The big massive thumb ones work perfectly on my big toes and the rest of my toes work well with the excess. So I can do a full mani/pedi with just one hand's worth of strips. They last usually almost 2 wks looking perfect!